While we are not done, we are trying to get this matrix as complete as possible before May 25; we do expect that we will still be updating the matrix way beyond May 25. 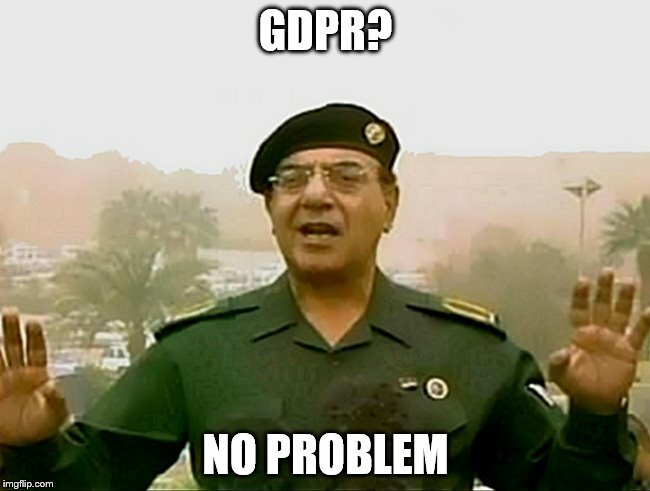 Back in 2016, I was under the impression that our industry would work together and come up with solutions to make things easier when it comes to the GDPR. However, it is April 2018, ICANN is still in chaos, the EU ccTLD registries move at a glacial pace, and the ccTLD registries outside of the EU still have to figure out what the EU GDPR is. A few months ago we came up with the idea that we should assist our customers when it comes to the GDPR.Over a thousand registries, located all over the world in many different jurisdictions, processing personal data in ways not known to us. At the time, it was like asking the question, how do you put an elephant in a car? The answer? Put the GDPR and all the data protection laws of the world into the metadata of our API. At first glance, this looks very complex and confusing, just like the GDPR itself. When you send an info request on the metadata for the name, “gdprCategory”, it will give you four values depending on the TLD. As I mentioned before we still need to complete this and things are still in motion with a lot of registries, but we can tell you a few things already based on current info and predictions, as such we came up the following suggestions. And be advised these are the most complex TLD’s to register. We know that these TLDs are outside of the EU and Article 49 is most likely to be relevant for such TLD’s. In some cases, we do not know what will happen and how the registry in that country will treat the data of your customer. You do not need to worry about this when this is a company registration. Companies (legal entities) are exempt from the GDPR. Make sure you do not use any personal data for such registrations. Consult a lawyer regarding your legal requirements to register a domain name (money saver). Do you need privacy shield as a legal basis or not? No need to worry about “third parties” having access to your customer’s data outside of the EU. If the right to be forgotten or erasure applies or not? Can the GDPR data accuracy requirements be exercised or not? Our advice, use this service whenever you can, it will save you a lot of time and hassle. These registries are EU GDPR compliant. But some of them do expose personal data in the WHOIS. Personally, I do not like this, but there can be a few legal reasons (on a member state level) that such a practice is permitted under the GDPR. You might want to give your customers a heads-up of such practices as their perception might be different. Safe, data adequacy or EU based. These TLDs are GDPR compliant and do not expose personal data through the WHOIS. Hassle free; let’s hope the rest will follow soon. Terms of Service & Privacy notice. As an extra service, we have included links to the relevant registration contracts and privacy notices. I am aware it is not complete at the moment, but we hope to have most of it ready, before the 25th of May. Keep in mind, so far we have seen zero new contracts from gTLD registries. I expect that we as a registrar we will have to sign over a thousand contracts just a few weeks before the 25th of May. So check the matrix regularly to remain up to date. Kevin Murphy from DomainIncite has written an excellent article about the all the ins and outs how WHOIS might look like in May this year, which you can read here. I do not entirely agree with Kevin if privacy services are going to be free. In the current setup, our privacy proxy service still has added value when it comes to spam prevention. I think it is more accurate, that if ICANN no longer requires personal data to be displayed in the WHOIS the need use a privacy service to prevent such display of personal data becomes obsolete, after all that is what a privacy service does, replacement of personal data from the registrant through the use a privacy proxy service. 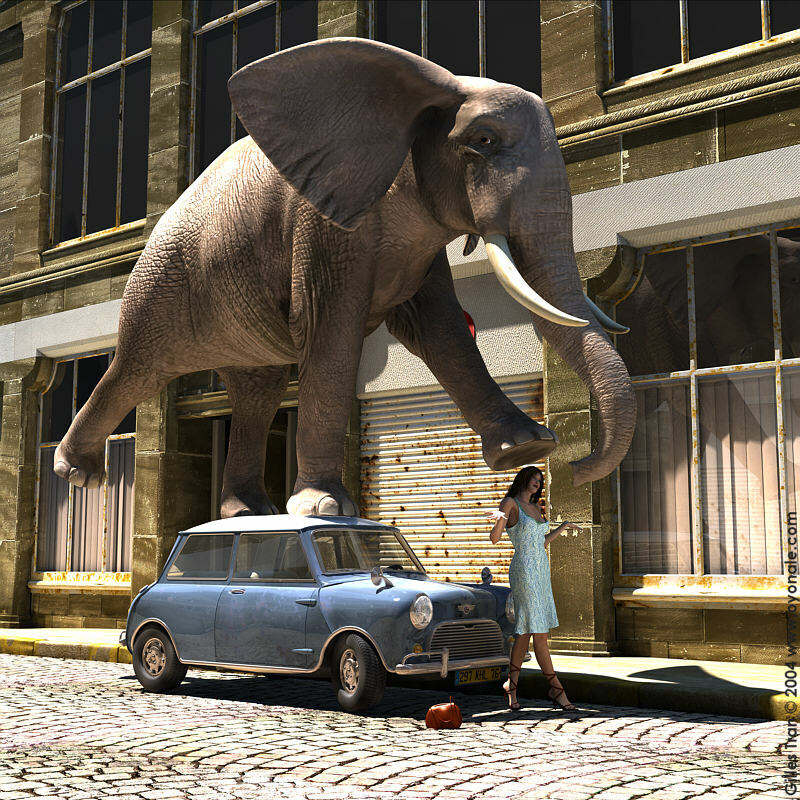 Many data protection laws have a data minimization requirement, which is absent in the ICANN proposal. 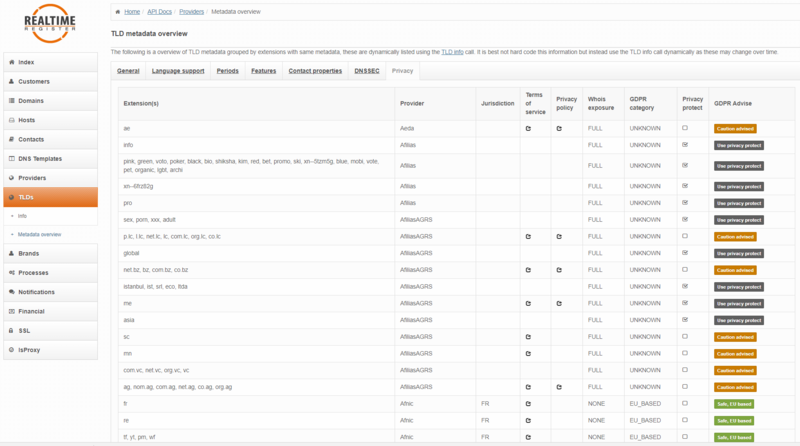 The Realtime Register privacy proxy service makes sure that such condition is fulfilled. Of course, there is a chance that ICANN will stop with the Thick WHOIS requirements, but for now, the ICANN community is not ready for such chance. The ICANN model still requires that the organization/company field should always be displayed. I do not agree, while it is true that companies are exempt from the GDPR, it is not up to ICANN to make the distinction here and would go against the recommendation of the ICANN PPSAI working group. This group recommended that there is no distinction between natural persons and companies when it comes to the usage of privacy proxy services. Why ICANN thinks they are in charge to make the distinction is beyond me. My advice to our customers, use our privacy service (or data protection compliance service) at all times. You can read more regarding this service here. With ICANN 61 starting this week, we will soon know more how the WHOIS will look like. ICANN still seeking input, so some of it is subject to change, though I think we have a rough outline now on how it will look like. Today the Registrar Stakeholder Group (RrSG) has joined its colleagues in the Registry Stakeholder Group, Eco Association of the Internet Industry and the Internet Infrastructure Coalition in raising its concerns with ICANN about GDPR. The letter was drafted last week and got so much support from the registrar members that we could officially support it as a stakeholder group. Realtime Register B.V. was one of the supporters. The letter to the ICANN CEO located here, can be described as “spicy,” or “\strong.” And I think it is with good reason. Since March 2016 a dedicated small group of registrars and registries have been pouring countless of hours of time in supporting ICANN with this complex issue called the GDPR, I cannot recall how many telephone conferences I had since March 2017 till this very day, but most likely an insane number for sure. ICANN contractual obligations force registries and registrars to publish the personal data in a public directory called the WHOIS. The GDPR does not allow data being used beyond its original purpose, which is the registration of the domain name. When you order a product online; you provide the shop with information so they can deliver/ship your product. It is not up to the shop to publish all your data in a public directory and mention what product you purchased. You rather not have such data released for obvious reasons, not the whole world has to know what you bought last weekend, right? This example I guess, highlights the entire issue with the WHOIS and the tension it creates with many data protection and privacy laws. I understand if this letter might come on strong for some folks at the ICANN organization and perhaps some stakeholders within the ICANN community, but it is ten minutes to midnight for sure, and as contracted parties, we are all liable when it comes to the GDPR, and its massive fines, and not the ICANN community. Every hour we delay will cause more issues for us registrars and our customers. Lucky enough a significant deal of the GDPR issues can be mitigated with the free Realtime Register privacy proxy services. And while that is convenient for our customers, not every registrar offers these services and as such, are entirely depended on solutions created by ICANN. More information regarding our privacy services can be read here. There has been a considerable debate whatever ICANN will enforce the contractual agreement between registrars and registries to display personal data in the WHOIS. Publication of personal data in the WHOIS is usually in conflict with many data protection laws around the world. The EU GDPR and its substantial non-compliance fines seem to sway the discussion into a direction where ICANN needs to come up with solutions. And they did: ICANN published several models that propose to limit the publication of personal data in the WHOIS. The next step is that the ICANN community analyzes these models. The models created by the ICANN Organisation can be viewed through the link below. All the models published by the ICANN community are posted here. The models proposed by the ICANN organization have limited personal info published in the WHOIS the two other models no longer publish personal data in the WHOIS. The ECO model also has in common that there is no personal data published in the WHOIS. So ultimately I think we are heading to a solution where registries and registrars no longer will publish person data in the WHOIS. All models continue their support for data transfer to registries. In my opinion, this does not meet the EU GDPR data minimization principle, which I will explain in a future blog post. All models are not perfect, and to be used as a solution the following are of key importance. In my opinion, the ECO model fits those requirements. In addition to this, the ECO model has the largest industry support, which is key critical for mass adoption. The end of privacy protection services? Should you still use the Realtime Register privacy protect service even when there will be no personal data published in the WHOIS in May 2018? All proposed models might tackle the WHOIS issue; it does not address the issue of possible data breaches, increased legal requirements for you as a reseller, and other areas of GDPR noncompliance. Our privacy service does that, though perhaps we should rename our privacy service to Data Protection Compliance Services (DPCS). Keep in mind the solutions proposed are interim solutions, I would urge the ICANN community to band together and start working on real lasting solutions, rather than attacking interim solutions. Realtime Register is a supporter of the ECO model.